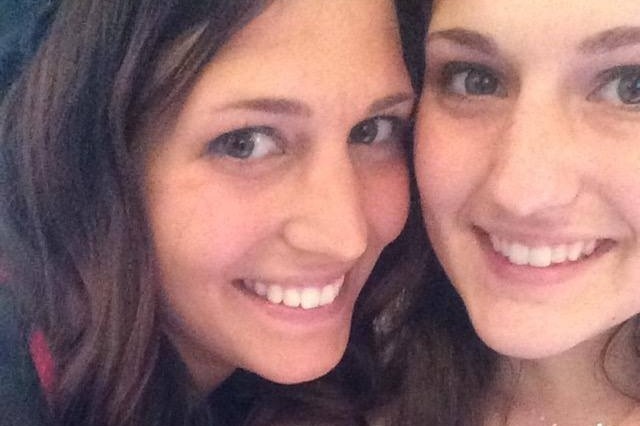 On Tuesday, March 12, my sister Alexis Livingston was involved in a head-on collision with a tractor trailer. She sustained a traumatic brain injury, several broken ribs, a torn carotid artery, broken legs, shattered ankle, and other various injuries. 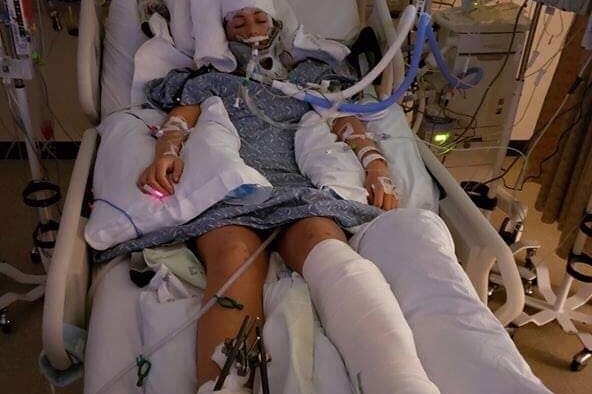 She is currently on life-support in the Neurosurgical Intensive Care Unit at the VCU Medical Center where she is receiving the best care she can get from some brilliant doctors and caring nurses. We are thankful for the prayers and well wishes of friends and family. Many people are asking if they can help in any way and if there was some way they could contribute to her recovery. The dean of her school at Liberty University suggested a fundraiser as this will be a long road to Alexis' rehabilitation and recovery. Therefore, we have started this campaign to allow her family, friends, and colleagues to contribute. The goal of $25,000 is there just because GoFundMe requires a goal, but all contributions would be appreciated. Alexis is the most selfless and caring person I have ever met. She is the best sister ever and has always been there to take care of me and support me in my endeavors. Alexis is one of the strongest people I have ever known and I am sure that if anyone can recover from this, she can. Please continue to pray for the healing of my beautiful sister. Happy Easter weekend to everyone, just wanted to post an update about Alexis’ progress during this past week with some projections as to where we’re going in the near future. We are blessed to even have her still here with us and every day is a chance for better and better recovery. We sincerely thank you for continued prayers and positive thoughts – I have read that hope is what you have when you are not in control. Alexis Livingston still has not regained consciousness. She is comatose by her own body’s design and not as a result of any medications. She is neuro-storming every day, which is thought to be the way the brain starts reconnecting neurons and axons to control body functions after a severe injury. The storming can last from days to months according to the information we have reviewed. The only thing to do is treat the symptoms until she passes this phase of recovery. She has episodes of profuse sweating, elevated heart rate, decreased blood pressure and fitful movements of her arms and hands when the storms come. She is given Morphine and Propanolol to help alleviate the pain and it is very sad and painful to watch. We are praying that she wakes up on her own soon. Alexis had her ankle reconstruction surgery this past Wednesday the 17th and it went very well. The Orthopedic surgeon required a bone graft from her upper leg to complete the repair work but he is confident she will regain the use of her ankle and be able to walk. As with all of the doctors we have seen during our stay, he cannot say with certainty what her prognosis will be, however he sounded very pleased with how the surgery went. She will need rehabilitation for flexibility and range of motion when the time comes, especially having been in the hospital bed for 40 days. She continues to have pain medication applied to the area of her broken ribs as they take so long to heal. She still receives tube feedings and gets her medications through that tube or her IV. She opens her eyes every day for short periods of time but they do not focus on anything in particular and do not track. Could be the brain injury, medication, or still in the healing phase but we are hopeful that we will see recognition in those pretty eyes soon as well. The last surgery she will need will be the carotid artery stent repair which should be around the 29th once her medication reaches therapeutic levels. That should open up the artery and reinforce it to help prevent future clotting issues going to the brain. Once we are done with the surgery we will continue to be in a holding pattern waiting for Alexis’ emergence from the coma. Emerging Consciousness is a stage of recovery and rehabilitation and there are services to help wake her mind up. We talk to her, read to her, and play music for her to help her emerge but this road will take some time. 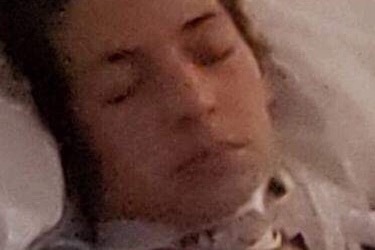 There are no specific time limits for how long her coma could last, or how long it may take her mind to wake up and start reacting and responding. We will continue to stay with her and love and support her while she heals. Her mom and I continue to switch off spending the nights with her and we are here in her room every day to help take care of her. Have a Happy Easter Sunday and a great week ahead. Good afternoon, early evening this Sunday the 14th and Happy Palm Sunday! Every day is a step towards recovery with our Alexis Livingston. Rachel Livingston and I were in Lynchburg yesterday packing her apartment and moving her things back home. Hayley Livingston and Rachel's sisters stayed and watched over Alexis while we had to go. It was a much more painful, solemn and emotional experience than I was expecting. Alexis had cleaned everything so she would come back to a nice neat apartment after Spring Break. Our gratitude to Liberty University School of Law Dean Keith Faulkner for meeting us at Alexis' apartment. Dean Faulkner coordinated the Law Library collecting up her library study carrel and also brought us a wonderful wall poster get well card signed by her class, donations that were collected for her, a framed 1L picture of her when she began her studies with Liberty, and a lovely devotional from the Women's Law Society of which she was a part. We deeply and sincerely thank the Dean and everyone at Liberty for the love, hope, and prayers that have been given to Alexis and our family. Alexis Livingston is now off the IV morphine and is being given less potent liquid pain medication through her G-tube where she gets fed. Amazingly she is down to one IV pole that contains the pumps for medications and fluids she still receives. Alexis still has not regained consciousness nor has she opened her eyes intently. She has opened them several times when she is laid flat for positioning or suction but her eyes don't look at anything. She can move all her limbs but at this point they are not intentionally directed movements. The casting will need to remain on her left leg for 6 weeks for the ankle dislocation to heal and then can come off. That should be by the end of April. She will have reconstructive surgery on her right ankle this coming Wednesday the 17th, likely in the early morning. Please keep her in your prayers as the extent of her future mobility will be determined by the success of this surgery. All the while, her brain will keep working to reestablish connections and pathways so she can open her eyes and intentionally control her movements. We constantly remain at her side to help take care of her. Lastly, it is likely obvious that we haven't posted any pictures of Alexis to this point and have been asked many times because everyone has pictures in their minds of what she must look like. I am posting one picture I took of Alexis the day after her accident and one I took yesterday. Have a great week and I will post more updates as Alexis progresses! Happy Friday from the 11th floor Neurosurgical Intensive Care Unit. The last update was on April 9th and today is the 12th. MORE GOOD NEWS to report today. Alexis is completely off sedation and her morphine level is less than ½ of what it started with. Alexis is still very sleepy and less reactive but that will hopefully start changing tomorrow as the levels are still slowly being reduced. She can move all hands, feet, arms, and legs but only as pain response – nothing intentional or on command yet. Alexis also had her tracheostomy and G-tube surgery yesterday so now the breathing tube and feeding tube has been removed from her mouth. She looks so much more comfortable without anything on her face. Alexis is also breathing on her own now with ventilator support. That means that Alexis initiates the breath and the ventilator just gives a little extra push to keeps the lungs open. Alexis did not get the complex ankle surgery due to an issue with the orthopedic surgeons and scheduling but we are trying to get that worked out so she can have it in the next few days as well. After she heals from that for a short time she will go to surgery again to get the stent put into her carotid artery to keep it open and increase blood flow. Alexis’ chest congestion is much better now that the tubes are out of her mouth but is still on antibiotics to make sure. Thank you all for your support and please keep praying for Alexis and sending her good thoughts, wishes, and love. We will be going to Lynchburg this weekend to take care of her apartment as she’s not returning this semester and hopefully will be out of the hospital and into rehabilitation through the summer. Until the next update, have a great weekend! Greetings this rainy Tuesday from the penthouse of the 11th floor Neurosurgical Intensive Care Unit. The last update was on April 5th and today is the 9th. To all of my daughter’s friends, colleagues, and Liberty University professors, Dean, and Pastor – thank you for all of your love, prayers, support and caring. GOOD NEWS to report today. Alexis has been coming off sedation very slowly and is still on a whopping rate of the morphine pain medication which also keeps her very sleepy and less reactive. She should be completely off sedation tomorrow by noon. Alexis had a milestone day yesterday and her active care went late into the evening so I apologize for not posting this last night. Her ICP monitoring head drain has been removed! She has progressed to the point that she can regulate her pressures on her own without being popped off and without the use of medications. Since she no longer has the head drain we were able to wash her hair for the first time since the accident. Between EEG wire glue, fluids, and what seemed to be diesel, we have her hair in MUCH better condition. While Rachel and Hayley were working on her hair Alexis opened her eyes on her own and was squeezing my hand and clenched the other hand. There was no awareness or recognition in her eyes and they did not move but she was physically able to open them. In speaking with the Trauma Team and the Neurology Team – that is a very good sign regardless of awareness. They advised that she shouldn’t have much awareness on this high level of morphine and the fact that she can break through that and the sedation to open her eyes and physically move is very impressive and shows how strong she is. So now we have Alexis able to open both eyes at the same time, and move both arms and hands. This while still under sedation and about 6 times the normal dose of morphine for pain. Alexis is also intermittently breathing on her own over the ventilator rate. It is set at 14 and she is breathing over it at 16 from time to time. Alexis is only waiting for Neuro to clear her for surgery and we are hoping for the ankle surgery and the trach to be done this week. Her head CT from last night shows vast improvements with further reduced swelling, more visible areas of her brain, and better visualization of her brain structures. The large bleed she sustained the second week is largely resolved and with its breakdown and reduced swelling, the brain hemispheres have begun shifting back where they belong. Having been on the ventilator for 4 weeks, Alexis has developed a mild pneumonia which is still being treated with antibiotics and with chest PT and suction which should resolve once the trach is put in. The low dose blood thinner and aspirin therapy has lessened the swelling in her leg caused by the blood clots so that area is looking better. Thank you all for your support and please keep praying for Alexis and sending her good thoughts, wishes, and love. Until the next update, have a good week!